Slip 1, knit 2 together, pass slipped stitch over. Slip 2 stitches together (as if to knit 2 together), knit 1, pass slipped stitches over the knit stitch. With the right needle, pick up the stitch below of the stitch on the left needle. Slip the stitch to the left needle. Knit on the needle. Knit on the next stitch. Avec le fil devant, piquer l'aig droite dans la maille 1 rang en dessous de la prochaine mailles de l'aig gauche. Lever la maille et tric la à l'env. Tric à l'env la prochaine maille de l'aig gauche. With yarn in front, insert the right-hand needle into the stitch 1 row below the next stitch on the left-hand needle. Lift the stitch and purl it. Purl the next stitch on the left-hand needle. With the left needle, pick up the stitch-two-row-below of the stitch on the right needle. Insert the right needle into the back loop, and knit on it. Purl the stitch above the place where the increase is desired. Insert the left-hand needle into the stitch 1 row below that same stitch. Place the lifted stitch on the left-hand needle. Purl the lifted stitch. Put on the working yarn on your right forefinger. Turn inside your hand and hook the yarn with the left needle. After the loop was made, pull off the finger. A loop-cast-on-stitch was made. Repeat it until you required. This stitches tend to loosen when you knit on them. So, you had better keep tight the loops. Knit. While keeping the stitch on the left needle, hook the working yarn on the right needle. Knit on the same stitch. Three stitches stand on the stitch. This increases 2 stitches at a time. Insert the right needle into the stitch which to go over. And move the stitch over. Maille torse avec la mailles du rang en dessus. Piquer l'aig droite dans la maille dans la maille sous la première maille sous l'aig gauche et enlever la maille de l'aig gauche. Accrochez le fil avec l'aig gauche. La maille précédente n'est pas en boucle et est au-dessus de la maille. Glisser la maille sur l'aig droit. Insérer l'aig dans ces deux mailles. Insert the right needle into the stitch below the first stitch on the left needle, and pull the left needle out of the stitch. Hook the strand by the left needle. The above stitch is un-looped and is over the stitch. Slip the stitch to the right needle. Insert the left needle through the stitches together. Knit the stitches together. The above stitch(red) is un-looped and is over the twist stitch(green) below. Insert the right needle into the second stitch, while holding the first stitch with your left finger. Carry the needle right of the first stitch on the left needle. Knit. Knit on the first stitch. Pull the left needle out of the second stitch. Push the right needle away, and knit to right of the first stitch. Knit on the first stitch. Pull the left needle out of the stitch. La maille gauche passe au travers de la maille droite. Insert the right needle knitwise, and slip the stitch to the right needle. Do the next stitch as same. Insert the left needle into the first stitch. Pass the stitch over the second stitch. Insert the left needle into the second stitch. Knit on the second(red) stitch. Insert the right needle into the first(green) stitch and knit on it. The left stitch pass through the right stitch. La maille droit passe au travers de la maille gauche. Insert the right needle into the second stitch, while holding the first stitch with your left finger. Carry the needle right of the first stitch on the left needle. Knit on the second(red) stitch. Hook the first(green) stitch with the left needle, and drag through the second(red) stitch. Knit on the first(green) stitch. The right stitch pass through the left stitch. Écoulé (écoul. ): Laisser tomber la maille. Sans l'écoulé (écoul. ): Laisser la maille sur l'aiguille, sans la laisser tomber. Pas de mailles No stitch. Holding yarn behind stitch, slip stitch purlwise from left to right needle on RS and WS. to right needle on RS and WS. Glisser 1 maille , tricoter 1 maille à l'endroit, passer la maille glissée par dessus la maille tricotée. Skp: Slip 1 stitch knitwise, knit 1, pass slipped stitch over knit stitch and off right needle. 1 m. end. torse: m. endroit torse sur l'endroit ou m. envers torse sur l'envers. 1 m. env. torse : m. envers torse sur l'endroit ou m. endroit torse sur l'envers. K tbl: Knit stitch through back of loop on RS. P tbl: Purl stitch through back of loop on WS. 1 m. torse env. : m. envers torse sur l'endroit ou m. endroit torse sur l'envers. 1 m. end. torse: m. endroit torse sur l'endroit ou m. envers torse sur l'envers. P tbl: Purl stitch through back of loop on RS. K tbl: Knit stitch through back of loop on WS. 1 Boucle: 1 m. endroit, ne pas la faire tomber de l'aiguille gauche, passer le fil en avant, l'enrouler autour du pouce gauche de façon à former une boucle, repasser le fil en arrière. Tricoter à nouveau à l'endroit la m. de l'aiguille gauche, laisser tomber la m. de l'aiguille gauche, faire 1 jeté et rabattre les 2 m. de l'aiguille droite sur le jeté. 1 m. endroit Loop 1: Knit into next st, but don’t drop it off the needle. Bring yarn to front, between the needles, and loop it over your thumb, then bring the yarn between the needles to the back. Knit into the stitch again, this time bringing it up and off the left needle. You will have 2 stitches on the right needle. Pass the 1st stitch over the 2nd and off to secure the loop. tricoter à l'endroit dans la maille du rang précédent K1 below: Knit into stitch below next stitch on left needle. tricoter à l'envers dans la maille du rang précédant P1 below: Purl into stitch below next stitch on left needle. 1 j. : Un jeté Yo: Yarn over. tricoter à l'endroit la maille par devant puis par derrière Kfb: Knit into the front and then the back of the same stitch. [1 env, 1 end, 1 env] dans une maille, du côté envers [K1, p1, k1] in 1 stitch on RS. [P1, k1, p1] in 1 stitch on WS. [1 env, 1 j. , 1 env] dans une maille, du côté envers [K1, yo, k1] in 1 stitch on RS. [P1, yo, p1] in 1 stitch on WS. [1 end, 1 j. , 1 end] dans une maille, du côté envers [P1, yo, p1] in 1 stitch on RS. [K1, yo, k1] in 1 stitch on WS. Tricoter à l'env, le brin avant, le brin arrière et le brin avant de la maille, du côté envers Kfbf: Knit into the front, back, and front of 1 stitch on RS. Pfbf: Purl into the front, back, and front of 1 stitch on WS. 1 jeté, 2 end, passé la jeté au dessus des 2 mailles end Yarn over, knit 2, pass the yo over the 2 knits. 1 gl, 2 end, 1 jeté, passé la maille glissée au-dessus des 2 end et de 1 jeté. Slip 1, knit 2, yarn over, pass slipped stitch over the 2 knits and the yarn over. Du côté endroit tricoter 1 maille à l'endroit dans la boucle formée en levant sur l'aig. le brin horizontal, entre la maille tricotée et la prochaine maille. : aug. intercalaire endroit. Increase 1 stitch by lifting horizontal strand in between stitch just worked and the next stitch and placing it onto the left needle. Knit into back of this loop on RS, purl into back of this loop on WS. avec l'aig. gauche, prendre par derrière le brin horizontal entre la maille tricotée et la suivante et la tricoter comme une maille endroit. . M1R: Insert the left needle from back to front into the horizontal strand between the last stitch worked on the right needle and the next stitch on the left needle. Insert needle into the front of the strand and knit it. avec l'aig. gauche, prendre par devant le brin horizontal entre la maille tricotée et la suivante, et la tricoter à l'endroit en la prenant par l'arrière de la maille: 1 aug, intercalaire torse. M1L: Insert the left needle from front to back into the horizontal strand between the last stitch worked on the right needle and the next stitch on the left needle. Insert needle into the back of the strand and knit it. avec l'aig. gauche, prendre par devant le brin horizontal entre la maille tricotée et la suivante, la tricoter en la prenant par l'arrière de la maille et la tricoter une seconde fois en la prenant par l'avant de la maille. Sur le côté endroit la tricoter à l'endroit et du côté envers la tricoter à l'envers. M2 (make 2): Increase 2 stitches by lifting horizontal strand in between stitch just worked and the next stitch and placing it onto the left needle. purl into back and then front of this loop on WS. 1 jeté 2 fois Yarn over twice. 1 jeté 3 fois Yarn over 3 times. 1 jeté 4 fois Yarn over 4 times. purl into the front, back, front, and back of stitch (kfbfb). purl into the front, back, front, back, and front of stitch (kfbfbf). purl into front, back, front, back, front, and back of stitch (kfbfbfb). purl into the front, back, front, back, front, back, and front of stitch (kfbfbfbf). Knit or purl as usual, but wrap yarn over right needle twice and pull both loops through. Drop extra wrap from needle on next row. 1 m. glissée, 1 m. end, 1 m. end dans le brin arrière de la maille gl. et rabattre par dessus la maille tric. Sl 1-k1-psso but k tbl of sl st first: Slip 1 stitch, knit 1 stitch, knit through back loop of slipped stitch and then pass it over the knit 1 and off the right needle. 1 m. glissée, 1 m. end, 1 jeté, rabattre la m. glissée pardessus ces deux mailles. Sl 1-k1-yo-psso the k1 and the yo: Slip 1 stitch, knit 1 stitch, yarn over, pass the slipped stitch over the knit 1 and the yarn over. Tricoter 2 mailles ensemble à l'envers. Sur le côté envers K2tog on RS: Knit 2 stitches together as 1. P2tog on WS: Purl 2 stitches together as 1. Tricoter 2 mailles ensemble à l'endroit. Sur le côté envers P2tog on RS: Purl 2 stitches together as 1. K2tog on WS: Knit 2 stitches together as 1.
faire glisser 2 mailles séparément comme pour à l'envers, remettre les 2 mailles ensemble sur l'aiguille de gauche, et tricoter les 2 mailles ensemble à l'envers. Sur le côté envers Ssk on RS: Slip 2 stitches one at a time as if to knit. Insert left needle into fronts of these 2 stitches and knit them together as 1. Ssp on WS: Slip 2 stitches one at a time knitwise. Insert left needle into backs of these 2 and purl them together as 1. Tricoter à l'envers 2 mailles ensemble dans les brins arrière des 2 mailles. Sur le côté envers K2tog tbl on RS: Knit 2 stitches together through back of loop. P2tog tbl on WS: Purl 2 stitches together through back of loop. Tricoter à l'endroit 2 mailles ensemble ensemble dans les brins arrière des 2 mailles. Sur le côté envers P2tog tbl on RS: Purl 2 stitches together through back of loop. K2tog tbl on WS: Knit 2 stitches together through back of loop. Tricoter à l'envers 3 mailles ensemble. Sur le côté envers K3tog on RS: Knit 3 stitches together as 1. P3tog on WS: Purl 3 stitches together as 1. Tricoter à l'endroit 3 mailles ensemble. Sur le côté envers P3tog on RS: Purl 3 stitches together as 1. K3tog on WS: Knit 3 stitches together as 1. Tricoter à l'envers 3 mailles ensemble dans les brins arrière des 3 mailles. Sur le côté envers K3tog tbl on RS: Knit 3 stitches together as 1 through back of loop. P3tog tbl on WS: Purl 3 stitches together as 1 through back of loop. Tricoter à l'endroit 3 mailles ensemble dans les brins arrière des 3 mailles. Sur le côté envers P3tog tbl on RS: Purl 3 stitches together as 1 through back of loop. K3tog tbl on WS: Knit 3 stitches together as 1 through back of loop. stitches over the p1 and off the right needle. Sl 2-k1-p2sso (s2kp) on WS: Slip 2 stitches knitwise at the same time, knit 1, pass the 2 slipped stitches over the k1 and off the right needle. Glisser 2 mailles comme si vous les tricotiez ensemble à l'envers dans les brins arrière, 1 env, passer les deux mailles glissées pardessus la 1 env. Sur le côté envers Sl 2-k1-p2sso (s2kp) on RS: Slip 2 stitches knitwise at the same time, knit 1, pass the 2 slipped stitches over the k1 and off the right needle. Sl 2-p1-p2sso (s2pp) on WS: Slip 2 stitches as if to purl 2 together through back of loop, purl 1, pass the 2 slipped stitches over the p1 and off the right needle. as 1, pass the slipped stitch over the k2tog and off the right needle. as 1, pass the slipped stitch over the k3tog and off the right needle. Glisser 4 mailles, 1 end, passer les 4 mailles glissées pardessus la 1 end. Dec 4-to-1 knitwise: Knit 4 stitches together as 1 on RS, purl 4 stitches together as 1 on WS. Sl 4-k1-p4sso (s4kp): Slip 4 stitches, knit 1, pass the 4 slipped stitches over the k1 and off the right needle. knit 4 stitches together as 1 on WS. Glisser 2 mailles comme pour les tricoter à l'endroit, 3 end, passer pardessus les 3 end les 2 gl. Sl 2-k3tog-p2sso (s2k3p): Slip 2 stitches together knitwise, knit 3 stitches together as 1, pass the 2 slipped stitches over the k3tog and off the right needle. purl 5 stitches together as 1 on WS. knit 5 stitches together as 1 on WS. purl 6 stitches together as 1 on WS. knit 6 stitches together as 1 on WS. purl 7 stitches together as 1 on WS. knit 7 stitches together as 1 on WS. 1 end, 1 env, 1 end, 1 env, 1end, retourner le travail, 5 env, retourner le travail, 5 end, passer 4 mailles au-dessus de la mailles end. Mb (make bobble): K1, p1, k1, p1, k1 into next st, turn, p5, turn, k5, pass the 4 sts one at a time over the knit st and off the needle to finish bobble. Insérez l'aiguille droite entre les 4ème et 5ème points sur l'aiguille gauche et former une longue boucle, 4 end, passez la longue boucle sur les 4 points end pour l'enrouler. Wrap 4: Insert right needle between 4th and 5th stitches on left needle and draw up a long loop, knit 4, pass the long loop over the 4 knit stitches to wrap. Laisser tomber la maille ou le jeté. Drop st(s) or yo(s) from previous row. Maille spéciale: Voir les instruction du patron. Special stitch: See individual pattern instructions. Sur le côté endroit: 1 m. end. dans le brin arrière de la 2iéme m. sans l'écoul. , tric, la 1er m. à l'end, sans l'écoul. , écoul. les 2 m.
(RS): Skip 1st stitch on left needle, knit 2nd stitch through the back loop and leave on needle, knit skipped stitch, then drop both original stitches from left needle. (WS): Skip last stitch on left needle, purl 2nd stitch through the back loop and leave on needle. Purl skipped stitch, then drop both original stitches from left needle. Sur le côté endroit: tric, la 2ième m. à l'end, sans l'écoul. , 1 m. end. dans le brin arrière de la 1™ m. sans l'écoul. , écoul, les 2 m.
(RS): Skip 1st stitch on left needle, knit 2nd stitch, knit skipped stitch, then drop both original stitches from left needle. (WS): Skip 1st stitch on left needle, purl 2nd stitch and leave on needle, purl skipped stitch, then drop both original stitches from left needle. Gl. 1 m. sur l'aig. aux. dev. , 1 env, tric, à l'end, la m. de l'aig. aux. 2-st LPC: Slip next stitch to cable needle and hold at front, purl 1 from left needle, knit 1 from cable needle. Gl. 1 m. sur l'aig. aux. der. , 1 end, tric, à l'env, la m. de l'aig. aux. 2-st RPC: Slip next stitch to cable needle and hold at back, knit 1 from left needle, purl 1 from cable needle. Tricoter à l'endroit 2 m. ensemble sans les laisser tomber de l'aiguille, tric. à l'endroit la première maille une autre fois et laisser tomber les deux m. de l'aig. gauche. K2tog-k 1st st again: Knit 2 stitches together without dropping them from left needle, knit 1st stitch again and drop both stitches off left needle. Tricoter à l'envers 2 m. ensemble sans les laisser tomber de l'aiguille, tric. à l'envers la première maille une autre fois et laisser tomber les deux m. de l'aig. gauche. P2tog-p 1st st again: Purl 2 stitches together without dropping them from left needle, purl 1st stitch again and drop both stitches off left needle. Tricoter à l'envers 2 m. ensemble sans les laisser tomber de l'aiguille, tric. à l'endroit ces mêmes 2 m. ensemble. P2tog-k2tog: Purl 2 stitches together without dropping them from left needle, knit same 2 stitches together and drop from left needle. Glisser 1 m. sur une aiguille à torsade placée devant, tricoter à l'endroit les 2 m. suivantes, puis la m. sur l'aiguille à torsade. Slip next stitch to cable needle and hold at front, knit 2 from left needle, knit 1 from cable needle. Slip next 2 stitches to cable needle and hold at back, knit 1 from left needle, knit 2 from cable needle. Glisser 2 m. sur une aiguille à torsade placée derrière, tricoter à l'endroit la m. suivante, puis à l'envers les 2 m. de l'aiguille à torsade T3B: Slip 2 stitches onto cable needle and hold at back of work, knit 1 from left needle, purl 2 from cable needle. Glisser 1 m. sur une aiguille à torsade placée devant, tricoter à l'envers les 2 m. suivantes, puis à l'endroit la m. de l'aiguille à torsade. T3F: Slip 1 stitch onto cable needle and hold at front of work, purl 2 from left needle, knit 1 from cable needle. Glisser 2 m. sur une aiguille à torsade placée devant, tricoter à l'envers la m. suivante, puis à l'endroit les 2 m. de l'aiguille à torsade. 3-st LPC: Slip 2 stitches to cable needle and hold at front, purl 1 from left needle, knit 2 from cable needle. Glisser 1 m. sur une aiguille à torsade placée derrière, tricoter à l'endroit les 2 m. suivantes, puis à l'envers la m. de l'aiguille à torsade. 3-st RPC: Slip 1 stitch to cable needle and hold at back, knit 2 from left needle, purl 1 from cable needle. Glisser 2 m. sur une aiguille à torsade placée derrière, tricoter à l'endroit la m. suivante, glisser la maille central de l'aiguille à torsade sur l'aigu. gauche et tricoter la maille à l'envers, puis à l'endroit la m. de l'aiguille à torsade. C3Rp: Slip 2 to cable needle and hold at back, knit 1 from left needle, slip center stitch from cable needle back to left needle and purl it, knit 1 from cable needle. Glisser 2 m. sur une aiguille à torsade placée devant, tricoter à l'endroit la m. suivante, glisser la maille central de l'aiguille à torsade sur l'aigu. gauche et tricoter la maille à l'envers, puis à l'endroit la m. de l'aiguille à torsade. C3Lp: Slip 2 to cable needle and hold at front, knit 1 from left needle, slip 1 center stitch from cable needle back to left needle and purl it, knit 1 from cable needle. 2nd and 3rd sts tog: Knit 3 stitches together without dropping them from left needle, then reknit the 1st stitch, then knit the 2nd and 3rd stitches together, dropping original stitches off the left needle. Tricoter à l'envers 3 m. ensemble sans les laisser tomber de l'aiguille, tric. à l'endroit ces mêmes 3 m. ensemble et les retricoter à l'envers ensemble et laisser tomber la m. originale de l'aig. gauche. P3tog-k3tog-p3tog: Purl 3 stitches together without dropping them from left needle, knit same 3 stitches together, then purl them together again, dropping original stitches from left needle. Tricoter à l'endroit 3 m. ensemble dans le brin arrière sans les laisser tomber de l'aiguille, 1 jeté, tric. à l'endroit ces mêmes 3 m. ensemble et laisser tomber la m. originale de l'aig. gauche. K3tog-yo-k3tog: Knit 3 stitches together through back of loop without dropping them from left needle, yarn over, knit the same 3 stitches together, dropping original stitches from left needle. dropping them from left needle, yarn over, purl the same 3 stitches together, dropping original stitches from left needle. Slip next 2 stitches to cable needle and hold at back of work, knit 2 from left needle, knit 2 from cable needle. Slip next 2 stitches to cable needle and hold at front of work, knit 2 from left needle, knit 2 from cable needle. Glisser 2 m. sur une aiguille à torsade placée derrière, tricoter à l'endroit les 2 m. suivantes, puis à l'envers les 2 m. de l'aiguille à torsade. T4B: Slip next 2 stitches onto cable needle and hold at back, knit 2 from left needle, purl 2 from cable needle. Glisser 2 m. sur une aiguille à torsade placée devant, tricoter à l'envers les 2 m. suivantes, puis à l'endroit la m. de l'aiguille à torsade. T4F: Slip next 2 stitches to cable needle and hold at front, purl 2 from left needle, knit 2 from cable needle. Glisser 1 m. sur une aiguille à torsade placée derrière, tricoter à l'endroit les 3 m. suivantes, puis à l'envers la m. de l'aiguille à torsade. 4-st RPC: Slip next stitch to cable needle and hold at back, knit 3 from left needle, purl 1 from cable needle. Glisser 3 m. sur une aiguille à torsade placée devant, tricoter à l'envers la m. suivante, puis à l'endroit les 3 m. de l'aiguille à torsade. 4-st LPC: Slip next 3 stitches to cable needle and hold at front, purl 1 from left needle, knit 3 from cable needle. Glisser 3 m. sur une aiguille à torsade placée derrière, tricoter à l'endroit la 1 m. suivantes, puis à l'envers la m. de l'aiguille à torsade et à l'envers les 2 mailles de l'aiguille à torsade. 4-st RPT (4-stitch right purl twist): Slip next 3 stitches to cable needle and hold at back, knit 1 from left needle, then knit 1, purl 2 from cable needle. Glisser 1 m. sur une aiguille à torsade placée devant, tricoter à l'envers les 2 m. suivantes, puis à l'envers et 1 end, tricoter à l'endroit la m. de l'aiguille à torsade. 4-st LPT (4-stitch left purl twist): Slip next stitch to cable needle and hold at front, purl 2, knit 1 from left needle, then knit 1 from cable needle. stitches to cable needle and hold at back, knit 1 from left needle, then purl 1, knit 1, purl 1 from cable needle. Glisser 1 m. sur une aiguille à torsade placée devant, tricoter à 1 end, 1 env, 1 end et 1 end de l'aiguille à torsade. 4-st LMC (4-stitch left moss stitch cable): Slip next st to cable needle and hold at front, knit 1, purl 1, knit 1 from left needle, then knit 1 from cable needle. Glisser 3 m. sur une aiguille à torsade placée derrière, tricoter à l'endroit les 2 m. suivantes, glisser 1 maille de l'aiguille à torsade sur l'aig. gauche et la tricoter à l'envers, puis à l'endroit les 2 m. de l'aiguille à torsade. C5B: Slip next 3 stitches to cable needle and hold at back, knit 2 from left needle, slip the purl stitch from the cable needle back onto left needle and purl it, knit 2 remaining stitches from cable needle. Glisser 3 m. sur une aiguille à torsade placée devant, tricoter à l'endroit les 2 m. suivantes, glisser 1 maille de l'aiguille à torsade sur l'aig. gauche et la tricoter à l'envers, puis à l'endroit les 2 m. de l'aiguille à torsade. C5F: Slip next 3 stitches to cable needle and hold at front, knit 2 from left needle, slip the purl stitch from the cable needle back onto left needle and purl it, knit 2 remaining stitches from cable needle. Glisser 2 m. sur une aiguille à torsade placée derrière, tricoter à l'endroit les 3 m. suivantes, puis à l'envers les 2 m. de l'aiguille à torsade. T5B: Slip the next 2 stitches to cable needle and hold at back, knit 3 from left needle, purl 2 from cable needle. Glisser 3 m. sur une aiguille à torsade placée devant, tricoter à l'envers les 2 m. suivantes, puis à l'endroit les 3 m. de l'aiguille à torsade. T5F: Slip the next 3 stitches to cable needle and hold at front, purl the next 2 stitches on left needle, knit 3 from cable needle. Slip next 3 stitches to cable needle and hold at back of work, knit 3 from left needle, knit 3 from cable needle. Slip next 3 stitches to cable needle and hold at front of work, knit 3 from left needle, then knit 3 from cable needle. through the back loop from cable needle. Slip next 4 stitches to cable needle and hold at back of work, knit 4 from left needle, knit 4 from cable needle. Slip next 4 stitches to cable needle and hold at front of work, knit 4 from left needle, knit 4 from cable needle. Slip next 5 stitches to cable needle and hold at front of work, knit 5 from left needle, knit 5 from cable needle. Slip next 6 stitches to cable needle and hold at back, knit 6 stitches from left needle, knit 6 from cable needle. Slip next 6 stitches to cable needle and hold at front, knit 6 stitches from left needle, knit 6 from cable needle. m. qui n'existe pas. No stitch. 1 m. endr. torse: m. endroit torse sur l'endroit ou m. envers torse sur l'envers. 1 m. torse env. : m. envers torse sur l'endroit ou m. endroit torse sur l'envers. K tbl: Knit stitch through back of loop on RS. 1 m. endr. torse: m. endroit torse sur l'endroit ou m. envers torse sur l'envers. P tbl: Purl stitch through back of loop on RS. Knit or purl as usual, but wrap yarn over right needle 3 times and pull both loops through. Drop extra wrap from needle on next row. 1 j. : Une jeté Yo: Yarn over. jeté que l'on laisse tomber au rang suivant Yarn over drop from needle on next row. (1) glisser 1 m. à l'endroit, tricoter la m. suivante à l'endroit, puis passer la m. glissée sur la m. tricotée. (1) slip 1 knitwise, Knit 1, pass splipped over knitted. (2) slip 2 knitwise, Put them back in this 2 splipped on left-hand needle , purl 2 stitches together as 1 through back of loop. slip 1 knitwise, Knit 1, pass splipped over knitted. slip 1 purlwise, Knit 1, pass splipped over knitted. slip 1 knitwise, knit 2 stitches together as 1, pass splipped over knitted. 2 m. ensemble à l'envers sur l'envers prises par-derrière. P2tog on WS: Purl 2 stitches together as 1 through back of loop. Sl 2 sts as if to work K2tog, pass the 1st splipped through back of 2nd splipped on left-hand needle, Knit 2 stitches together as 1, pass splipped over knitted. Sl 2 sts as if to work K2tog, put them back in this 2 splipped on left-hand needle, P3tog through back. Take a crochet, stitch in 1 sts, 1 yo on the crochet, draw 1 loop, 1 yo , stitch the hook in the same st, 1 yo , draw 1 loop, 1 yo through the 5 loops on the hook, place this st on the left needle, purl. augmentation intercalaire simple endroit sur l'endroit. Make a st by picking up strand in front of next st and knit it in back. Make a st by picking up strand in front of next st and purl it in back. With the left needle, bring through back yarn between the needles, K1 insert the right-hand needle to the left of the front of this loop thus formed on the left needle, the loop is twisted to the right. With the left needle, bring through front yarn between the needles, K1 insert the right-hand needle through back of this loop thus formed on the left needle, the loop is twisted to the right. faire 2 m. dans 1 m. à l'endroit sur l'endroit ou à l'envers sur l'envers, en la tricotant par-devant puis par derrière. Inc 1: Increase 1 stitches by making 2 stitches in 1. 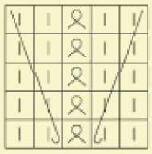 Knit or purl into the front, back of stitch (kfb). faire 3 m. dans 1 m.
en la tricotant a l'endroit, puis à l'envers et encore à l'endroit. 1 end, 1 env, 1 end Inc 1-to-2: Increase 2 stitches by making 3 stitches in 1.
faire 5 m. dans 1 m.
en la tricotant alternativement à l'endroit et à l'envers (2 fois) et encore 1 fois à l'endroit. 1 end, 1 env, 1 end, 1 env, 1 end Inc 1-to-4: Increase 4 stitches by making 5 stitches in 1.
faire 6 m. dans 1 m.
en la tricotant alternativement a l'endroit et à l'envers (3 fois). Inc 1-to-5: Increase 5 stitches by making 6 stitches in 1.
wyib on RS: Holding yarn behind stitch, slip stitch purlwise from left to right needle. wyif on WS: Holding yarn in front of stitch, slip stitch purlwise from left to right needle. wyib on RS: Holding yarn behind stitch, slip stitch purlwise from left to right needle on 2 rows. wyif on WS: Holding yarn in front of stitch, slip stitch purlwise from left to right needle on 2 rows. wyib on RS: Holding yarn behind stitch, slip stitch purlwise from left to right needle on 3 rows. wyif on WS: Holding yarn in front of stitch, slip stitch purlwise from left to right needle on 3 rows. wyib on RS: Holding yarn behind stitch, slip stitch purlwise from left to right needle on 4 rows. wyif on WS: Holding yarn in front of stitch, slip stitch purlwise from left to right needle on 4 rows. wyib on RS: Holding yarn behind stitch, slip stitch purlwise from left to right needle on 5 rows. wyif on WS: Holding yarn in front of stitch, slip stitch purlwise from left to right needle on 5 rows. wyib on RS: Holding yarn behind stitch, slip stitch purlwise from left to right needle on 6 rows. wyif on WS: Holding yarn in front of stitch, slip stitch purlwise from left to right needle on 6 rows. wyib on RS: Holding yarn behind stitch, slip stitch purlwise from left to right needle on 7 rows. wyif on WS: Holding yarn in front of stitch, slip stitch purlwise from left to right needle on 7 rows. wyif on RS: Holding yarn in front of stitch, slip stitch purlwise from left to right needle. wyib on WS: Holding yarn behind stitch, slip stitch purlwise from left to right needle. wyif on RS: Holding yarn in front of stitch, slip stitch purlwise from left to right needle on 3 rows. wyib on WS: Holding yarn behind stitch, slip stitch purlwise from left to right needle on 3 rows. wyif on RS: Holding yarn in front of stitch, slip stitch purlwise from left to right needle on 4 rows. wyib on WS: Holding yarn behind stitch, slip stitch purlwise from left to right needle on 4 rows. wyif on RS: Holding yarn in front of stitch, slip stitch purlwise from left to right needle on 8 rows. wyib on WS: Holding yarn behind stitch, slip stitch purlwise from left to right needle on 8 rows. Knit on RS, Purl on WS. Drop this st of the left needle, It rips on 1 rg. Purl on RS, Knit on WS. faire 1 m. endroit en piquant l'aiguille droite non pas dans la m.
Drop this st of the left needle, It rips on 2 rg. laissée tomber la m. correspondante de l'aiguille gauche, elle se démaille sur 3 rgs. Drop this st of the left needle, It rips on 3 rg. avec l'aiguille droite, soulever le fil qui a glissé au rg précédent et le tricoter à l'endroit avec la m. qui le surmonte. With the right needle, lift the yarn that has slipped to the previous rg and knit it with the stitch which is over. Stitch the right needle under the yarn tense 3 rows lower and in the next stitch and knit together. Stitch the right needle under the 2 yarn tense and in the next stitch and knit together. Stitch the right needle under the 3 yarn tense and in the next stitch and knit together. Stitch the right needle under the 4 yarn tense and in the next stitch and knit together. Stitch the right needle 1st hole, 1 yo then bring back 1 long loop that is kept on the needle, repeat for the 2 next holes. piquer l'aiguille droite dans le 1er jour, 1 jeté et ramener 1 longue boucle que l'on garde sur l'aiguille, continuer ainsi dans chacun des 5 jours suivants. Stitch the right needle 1st hole, 1 yo then bring back 1 long loop that is kept on the needle, repeat for the 6 next holes. work into the back of trie 2nd st on right needle, passing behind the 1st st then work into the back of 1st st, slipping both sts. off the needle at the same time. 1 m. glissée à l'envers (fil derrière la m. ), 1 m. endroit, jeté, rabattre la m. glissée sur la m. tricotée et le jeté. on right side of work. slip the next st onto a cable needle and hold at back of work, slip 1 purlwise (yarn at back) from left-hand needle, then knit the st from cable needle. glisser 1 m. sur une aiguille à torsade placée devant, tricoter à l'endroit la m. suivante, puis glisser à l'envers (fil derrière Ia m. ) la m. de l'aiguille à torsade. slip the next st onto a cable needle and hold at front of work. K1 from left-hand needle, then slip 1 purlwise (yarn at back) from cable needle. slip 1 knit wise (yarn at back), K2, yarn round needle, pass slipped st over both knitted st and increased st.
slip the next st onto a cable needle and hold at back of work, K2 from left-hand needle, then knit the it from cable needle. slip the next 2 sts onto a cable needle and hold at front of work, K1 from left-hand needle, then knit the 2 sts front cable needle. Slip the next St onto a cable needle and hold at back of Work, K2 from left-hand needle, then purl the st from cable needle. slip the nest 2 sts onto a cable needle and hold at front of work, P1 from left-hand needle, then knit the 2 sts from cable needle. slip the next 2sts onto a cable needle and hold at back of work, K1 from left-hand needle, then knit the 2 sts from cable needle. slip the next st onto a cable needle and hold at front of work, K2 from left-hand needle, then knit the st from cable needle. glisser 2 m. sur une aiguille à torsade placée derrière, tricoter à l'endroit la m. suivante, puis à l'envers les 2 m.
slip the next 2 sts onto a cable needle and hold at back of work, K1 from, left-hand needle, then purl the 2 sts from cable. slip the next st anto a cable needle and hold at front of work, P2 from (eft-hand needle, then knit the st from cable needle. then knit the 2 sts from cable needle. slip the next st onto a cable needle and hold at front of work, K2from left-hand needle, then slip the st purlwise from cable needler yarn at back. knit together the 2 sts from cable needle. slip the next 2 sts onto a cable needle and hold at front of work, K 2 from left-hand needle, then knit the 2 sts from cable needle. slip the next 2 sts onto a cable needle, and hold at back of work, K2 from left-hand needle, then purl the 2 sts from cable needle. slip the next 2 sts onto a cable needle and hold at front of work. P2 from left-hand needle, then knit the2 sts from cable needle. slip the next 3 sts onto a cable needle and hold at back of work, K1 from left-hand needle, then knit the 3 sts from the cable needle. slip the next st onto a cable needle and hold at front of work, K3 from left-hand needle, then knit the st from the cable needle. glisser 1 m. sur une aiguille à torsade placée derrière, tricoter à l'endroit les 3 m. suivantes, puis la m. de l'aiguille à torsade à l'envers. slip the next st onto a cable needle and hold at back of work, K3 from left-hand needle, then purl the st from table needle. slip the next 3 sts onto a cable needle and hold at front of work, P1 from left-hand needle, then knit the 3 sts from cable needle. slip the next 2 sts onto a cable needle and hold at back of workr K2 from left-hand needler then K1, P1 from cable needle. slip the next 2 sts onto a cable needle and hold at front of work, P1, K1 from left-hand needle, then knit the 2 sts front cable needle. slip the next 2 sts onto a cable needle and hold at back of workr K2 from left-hand needle, them P1, K1 from cable needle. slip the next 2 sts onto a cable needle and hold at front of work, K1, P1 from left-hand needle. , then knit the 2 sts from cable. slip the next 2 sts onto a cable needle and hold at back of work, K2 together from left-hand needle, yarn over needle, then purl the 2 sts from cable needle. glisser 1 m. sur une aiguille à torsade placée derrière, tricoter à l'endroit les 3 m. suivantes, puis à l'endroit la m. de l'aiguille à torsade. slip the next st onto a cable needle and hold at back of work, K3 from left-hand needler then knit the st from cable needle. glisser 3 m. sur une aiguille à torsade placée devant, tricoter à l'endroit la m. suivantes, puis à l'endroit les 3 m. de l'aiguille à torsade. slip next 3 sts onto a cable needle and hold at front of work K1 from left-hand needle, then knit the 3 sts from cable needle. slip the next st onto a cable needle and hold at back of work, P3 from left-hand needler then knit the it from cable needle. slip the next 3 sts onto 3 cable needle and hold at front of work, K1 from left-hand needle, then purl the 3 sts from cable needle. slip 1 knitwise (yan at back), K3, pass slipped st over all 3 sts. slip the next st onto a 1st cable needle and hold at front of work, slip the next 2 sts onto a 2nd cable needle and hold at back of work, work twice (K1, P1) Into the next st. K2 from the 2nd cable needle, work twice (K1, P1) into the st on the 1st cable needle. faire 4 m. dans la m. suivante en la tricotant alternativement à l'endroit et à l'envers (2 fois). Make 4 sts in next st ([K1,P1,K1, P1] in next st). faire 4 m. dans la m. suivante en la tricotant alternative ment à l'endroit et à l'envers 2 fois). Make 4 sts in next st ([K1,P1,K1,P1] in next st). Insert the right-hand needle after the 4th st on the left-hand needle, take yarn round needle, draw up a loop and place it on the left-hard needle, knit this loop and the next st together through the back of loop, K3. en piquant l'aiguille droite 2 rgs plus bas entre les 2 m. ensemble et le surjet simple et faire 1 m. endroit en étirant une boucle,2 m. endroit, 1 m. allongée endroit en piquant l'aiguille droite 2 rgs plus bas entre les 2 m. ensemble et le surjet simple et faire 1 m. endroit en étirant une boucle. insert the right-hand needle 2 rows below into the space between the K2 together and the passed slipped st knit a st, drawing up a loop onto the right-hand needle. , K2, "K1 long:insert the right-hand needle into the same space as before and knit a st, drawing up a loop onto the needle. slip the next st onto a cable needle and hold at back of work, P4 from left-hand needle, then purl the st from the cable needle. slip the slipped st onto a cable-needle and hold at front of work, K4 from left-hand needle, then knit the st from the cable needle. slip the next 2 sts onto a cable needle and hold at back of work, K3 from left-hand needle, then purl the 2 sts from cable needle. slip the next 3 sts onto a cable needle and hold at front of work, P2 from left-hand needle, then knit the 3 sts from cable needle. slip the next 2 sts onto a cable needle and hold at back of work, K3 from left-hand needle, then P1 and K1 from the cable needle. slip the next 3 sts onto a cable needle and hold at back of work, K2 from left-hand needle, replace the , 3nd st from the cable needle back onto left-hand needle, bring cable needle to frontr P1 from left-hand needle, taking yarn behind cable needle, then knit the 2 sts from cable needle. slip the next 2 sts onto a cable needle and hold at front of work, slip the next st onto a 2nd cable needle and hold at back of work, K2 from left-hand needle, purl the st frorn 2nd cable needle, then knit the 2 sts from the 1st cable needle. slip the next 3 sts onto a cable needle and hold at back of work, K2 from left-hand needle, replace the ,3th st from the cable needle back onto left-hand needle, bring cable needle to frontr K1 from left-hand needle, taking yarn behind cable needle, the knit the 2 sts from cable needle. with yarn at back of work, slip the next 5 sts from the left-hand needle onto the right-hand needle, bring yarn to front, slip the 5 sts from the right-hand needle back onto the Ieft- hand needle, take yarn across the sts and behind again, slip 1 st from the left-hand needle onto the right-hand needle,bring yarn to front, slip the 5 sts from the left-hand needle onto the right-hand needle, take yarn to back of work, slip the 5 sts from thet right-hand needle onto the left-hand needle, then work these sts in the manner that they presentr that is, K2, P1 and K2. K1, slip 1 knitwise, K2 together, pass slipped st over and K2. slip the next 3 sts onto a cabfe needle and hold at back of work, K3 from left-hand needle, then knit the 3 sts from cable needle. slip the next 3 sts onto a cable needle and hold at front of work, K3 from left-hand needler then knit the 3 sts from cable needle. sllp the next 3 sts onto a cable needle and hold at back of work, K3 from left-hand needle, then purl the 3 sts from cable needle. slip the next 3 sts onto a cable needk and hold at front of work, P3 from left-hand needler then knit the 3 sts from cable needle. slip the next 4 sts onto a cable needle and hold at back of work, K2 from left-hand needle, replace the 4th and 3th sts from the cable needle back onto left-hand needle, bring cable needle to front, P2 from left-hand needle, passing yarn behind cable needle, then knit the remaining 2 sts from cable needle. slip the next 2 sts onto a cable needle and hold at front of work, slip the next 2 sts onto a 2nd cable needle and hold at back of work, K2 from left-hand needle, purl the 2 sts fiom the 2nd cable needle, then knit the 2 sts from the 1st cable needle. slip the 6 elongated stitches onto the right-hand needle, allowing the estra twist on each st to drop, replace these 6 sts on left-hand needier cross the 3 Iast sts over the top of the first 3, leaving them all on the left-hand needle, then knit these 6 sts. slip the 6 elongated stitches onto the right-hand needle, allowing the extra twist on each st to drop, cross the first 3 sts over the top of the last 3, leaving them all on the right-hand needle, replace thein In this order onto left-hand needle and knit 6 sts. slip the next 3 sts onto a cable needle and hold at back of work. (P1, K1, P1) frorn left-hand needler then knit the 3 sts frorn ca ble needle. slip the next 3 sts onto a cable needle and hold at front of work, K3 from left-hand needle, then P1, K1, P1 from cable needle. slip the next 3 sts onto a cable needle and hold at back of work, (K1, P1, K1) frorn left-hand needle, then knit the 3 sts. from cable needle. glisser 2 m. sur une aiguille à torsade placée derrière, glisser les 2 m. suivantes sur une 2e aiguille à torsade placée devant tricoter les 2 m. suivantes ensemble à l'envers, tricoter à l'endroit les 2 m. de la 2e aiguille à torsade, puis ensemble à l'endroit les 2 m. de la 1er aiguille à torsade. slip the next 2 sts onto a cable needle and hold at back of work, slip the next 2 sts onto a 2nd cable needle and hold at front of work. P2 together, K2 from 2nd cable needle, then K2 together from 1st cable needle. slip the next 4 sts onto a cable needle and hold at back of work, K3 from left-hand needle, replace the 4th st from the cable needle back onto the left-hand needle, bring cable needle to front of work, purl the st on left-hand needle (passing yarn behind cable needle), then knit the remaining 3 sts from the Cacle needle. slip the next 3 sts onto a cable needle and hold at front of work, slip the next st onto a 2nd cable needle and hold at back of work, K3 from left-hand needler purl the st from 2nd cable needle, then knit the 3 sts from the 1st cable needle. faire 7 m. dans la m. suivante en la tricotant alternativement à l'endroit et à l'envers (3 fois) et encore à l'endroit. "Make 7" [K1,P1, K1, P1,K1,P1,K1] into the next st.
slip the next 4 sts onto a cable needle and hold at back of work, K4 from left-hand needle, then knit the 4 sts from cable needle. slip the next 4 sts onto a cable needle and hold at front of work, K4 from left-hand needle, then knit the 4 sts from cable needle. slip the nett 5 sts onto a cable needle and hold at back of work, K3 from left-hand needle, then work the 5 sts from the cable needle as follows: P2, K3. slip the next 3 sts onto a cable needle and hotd at front of virgrk, K3 from left-hand needle P2 from left-hand needle, then knit the 3 stt from cable needle. slip the next 5 sts. onto a cable needle and hold ait front of work. K3 from left-hand needle, replace the 5th and 4th sts From the cable needle on the left-hand needle, take the cable needle to the back, then knit the 2 sts on left-hand needle (passing the yarn in front of the cable needle), then knit the remaining 3 sts from the cable needle. slip the next 4 sts onto a cable needle and hold at back of work, work the next 4 sts on left-hand needle in the manner in whlch they present (ie, K1, P1, P1, K1), then work the 4 sts from cable needle: K1, P1, P1, K1. glisser 4 m. sur une aiguille à torsade placée devant, tricoter les 4 m. suivantes telles qu'elles se présentent (1 endroit, 2 envers, 1 endroit), puis les 4 m. de l'aiguille à torsade telles qu'elles se présentent (1 endroit, 2 envers, 1 endroit). slip the next 4 sts Onto a cable needle and hold at front of work, work the next 4 sts on left-hand needle in the manner in which they present (ie. K, P1, P1, K1), then work the 4 sts from cable needle: K1, P1, P1, K1. slip the next 3 sts onto the 1st cable needle and hold at back. of work, slip the next 3 sts onto a 2nd cable needle and hold at front of work, K3 from left-hand needk, knit the 3 sts from the 2nd cable needle, then knit the 3 sts from the 1st cable needle. slip the next 5 sts onto a cable needle and hold at front of work, and hold at front of work, K4 from left-hand needle, replace the 5th st from the cable needleback onto left-hand needle, purl this st, then knit the remaining 4 sts on cable needle. glisser 4 m. sur une aiguille à torsade placée devant, tricoter les 5 m. suivantes telles qu'elles se présentent (endroit, envers, endroit, envers, endroit), remettre la 4e m. de l'aiguille à torsade sur l'aiguille gauche, la tricoter à l'envers, puis tricoter les 3 m. de l'aiguille à torsade telles qu'elfes se présentent (endroit, envers, endroit). slip the next4 sts onto a cable needle and hold at front of work, work the next 5 sts on left-hand needte in the manner in which they present (ie, K1, P1, K1, P1, K1), replace the 4th st from the cable needle back onto left-hand needlej purl this st, then work the remaining 3 sts From cable needle: K1, P1, K1. slip the next 5 sts onto a cable needle and hold at back of work, K5 from left-hand needle, then knit the 5 sts from the cable needle. glisser 5 m. sur une aiguille à torsade placée devant, tricoter à l'endroit les 5 m. suivantes puis les 5 m. de l'aiguille à torsade. slip the next 5 sts onto a cable needle and hold at front of work, K5 from left-hand needle, then knit the 5 sts from the cable needle. slip the next 6 sts onto a cable needle and hold at back of work, K6 from left-hand needle, then knit the 6 sts from cable needle. slip the next 6 sts onto a cable needle and hold at front of work, K6 from left-hand needle, then knit the 6 sts from cable needle. sur l'envers du travail, tric. à l'envers dans le brin arrière de la maille K1 tbl on right-side rows, p1 tbl on wrong-side rows. sur l'envers du travail, tric. à l'envroit dans le brin arrière de la maille K1 tbl on wrong-side rows. 1 m. glisser comme pour la tricotée à l'envers avec le fil derrière le travail. Sl 1 st purlwise, with yarn behind work. 1 m. glisser comme pour la tricotée à l'envers avec le fil devant le travail. Sl 1 st purlwise, with yarn in front of work. Un jeté Yarn forward and over needle to make a st.
piquer l'aiguille gauche dans le brin avant de la maille suivante, et tricoter 1 m. à l'endroit. Make a st by picking up strand in front of next st and k it in back. piquer l'aiguille gauche dans le brin avant de la maille suivante, et tricoter 1 m. à l'envers. Make a st by picking up strand in front of next st and p it in back. Augmenter d'une maille en tricotant à l'endroit la maille par devant puis par derrière. Increase 1 st by working k in front, then back of st.
Augmenter d'une maille en tricotant à l'envers la maille par devant puis par derrière. Increase 1 st by working p in back, then front of St.
by working (k1, p1, k1) in st.
by working (k1 tbl, k1) in st, then insert left-hand needle behind the vertical strand running downward between the 2 sts just worked and work this strand k1 tbl. Augmentation multiple selon la méthode donnée sous le graphique. Multiple increase-method given beside chart. k2 tog on wrong-side rows. Tricoter 2 mailles ensemble à l'envers torse. Sur le côté endroit P2 tog tbl on right-side rows. Tricoter 3 mailles ensemble à l'endroit. K3 tog. Tricoter 3 mailles ensemble à l'endroit torse. K3 tog tbl. Tricoter 3 mailles ensemble à l'envers. P3 tog. gl 1 comme pou la tric à l'end, 2 m ensemble end, passer la m gl par dessus la m tric Sl 1 knitwise, k2 tog, psso. 2 gl comme pour les tricoter à l'endroit, 1 end, passer les mailles glissées par dessus la maille tricotée. Sl 2 sts as if to work k2 tog, k1, psso. rabattre une maille Bind off 1 st.
Passer la maille sur l'aiguille droite aprés l'avoir rabattue. St left on right-hand needle after binding off. (k1, p1, k1, p1, k1) in st to make 5 sts from 1, then pass 2nd, 3rd, 4th, and 5th sts, one at a time, over first st.
(k1, p1, k1, p1, k1, p1, k1) in st to make 7 sts from 1, pass 2nd, 3rd, 4th, and 5th, 6th, and 7th sts, one at a time, over first st.
(k1, p1, k1, p1, k1) in st to make 5 sts from 1, turn, p5, turn, pass 2nd, 3rd, 4th, and 5th sts, one at a time, over first st, then k in back of this st.
(k1, p1, k1, p1, k1) in st to make 5 sts from 1, turn, p5, turn, k5, turn, p5, turn, pass 2nd, 3rd, 4th, and 5th sts over first st, then k in back of this st.
(p in front, back, front, back, front) of st to make 5 sts from 1, turn, k5, turn, p5, turn, k5, turn, pass 2nd, 3rd, 4th, and 5th sts, one at a time, over first st, then k in back of this st.
(k2, turn, p2, turn) twice, (k next st tog with corresponding st of first row of bobble) twice. Glisser 3 mailles sur une aiguille à torsade, tourner le fils autour de la base de ces 3 mailles dans le sens des aiguilles d'une montre 4 fois en terminant avec le fils en arrière, glisser ces trois maille sur l'aiguille droite. Sl 3 sts onto cable needle, wind yarn counterclockwise around base of sts 4 times, ending with yarn at back of work, Sl sts onto right-hand needle. Glisser 4 mailles sur une aiguille à torsade, tourner le fils autour de la base de ces 4 mailles dans le sens des aiguilles d'une montre 4 fois en terminant avec le fils en arrière, glisser ces trois maille sur l'aiguille droite. Sl 4 sts onto cable needle, wind yarn counterclockwise around base of sts 4 times, ending with yarn at back of work, Sl sts onto right-hand needle. Glisser 5 mailles sur une aiguille à torsade, tourner le fils autour de la base de ces 5 mailles dans le sens des aiguilles d'une montre 4 fois en terminant avec le fils en arrière, glisser ces trois maille sur l'aiguille droite. Sl 5 sts onto cable needle, wind yarn counterclockwise around base of sts 4 times, ending with yarn at back of work, Sl sts onto right-hand needle. Glisser 6 mailles sur une aiguille à torsade, tourner le fils autour de la base de ces 6 mailles dans le sens des aiguilles d'une montre 4 fois en terminant avec le fils en arrière, glisser ces trois maille sur l'aiguille droite. Sl 6 sts onto cable needle, wind yarn counterclockwise around base of sts 4 times, ending with yarn at back of work, Sl sts onto right-hand needle. Glisser 10 mailles sur une aiguille à torsade, tourner le fils autour de la base de ces 10 mailles dans le sens des aiguilles d'une montre 4 fois en terminant avec le fils en arrière, glisser ces trois maille sur l'aiguille droite. Sl 10 sts onto cable needle, wind yarn counterclockwise around base of sts 4 times, ending with yarn at back of work, Sl sts onto right-hand needle. Pas de maille. No stitch. k2 tog, leaving sts on needle, insert right-hand needle between sts just worked and k first st again, Sl both sts off tog. taking needle behind work, k in back loop of 2nd st on left-hand needle, k in front of first st, Sl both sts off tog. taking needle to front of work, k 2nd st on left-hand needle, p first st, Sl both sts off tog. en prenant l'aiguille derrière le travail, tricoter à l'envers la 2e maille de l'aiguille gauche en la prenant par derrière, tricoter à l'endroit la première maille en la prenant par devant. taking needle behind work, p in back of 2nd st on left-hand needle, k in front of first st, Sl both sts off tog. taking needle to front of work, k 3rd st on left-hand needle, then 2nd st, then first st, Sl all sts off tog. glisser 1 maille sur une aiguille à torsade placée derrière, 1 end et ensuite tricoter à l'endroit la maille de l'aiguille à torsade. Sl 1 st onto cable needle and hold back, k1, then k1 from cable needle. glisser 1 maille sur une aiguille à torsade placée devant, 1 end et ensuite tricoter à l'endroit la maille de l'aiguille à torsade. Sl 1 st onto cable needle and hold at front, k1, then k1 from cable needle. glisser 1 maille sur une aiguille à torsade placée derrière, 1 end et ensuite tricoter à l'envers la maille de l'aiguille à torsade. Sl 1 st onto cable needle and hold at back, k1, then p1 from cable needle. glisser 1 maille sur une aiguille à torsade placée devant, 1 env et ensuite tricoter à l'endroit la maille de l'aiguille à torsade. Sl 1 st onto cable needle and hold at front, p1, then k1 from cable needle. glisser 2 mailles sur une aiguille à torsade placée derrière, 1 end et ensuite tricoter à l'endroit les 2 mailles de l'aiguille à torsade. Sl 2 sts onto cable needle and hold at back, k1, then k2 from cable needle. glisser 1 maille sur une aiguille à torsade placée devant, 2 end et ensuite tricoter à l'endroit la maille de l'aiguille à torsade. Sl 1 st onto cable needle and hold at front, k2, then k1 from cable needle. glisser 2 mailles sur une aiguille à torsade placée derrière, 1 end et ensuite tricoter à l'envers les 2 mailles de l'aiguille à torsade. Sl 2 sts onto cable needle and hold at back, k1, then p2 sts from cable needle. glisser 1 maille sur une aiguille à torsade placée devant, 2 env et ensuite tricoter à l'endroit la maille de l'aiguille à torsade. Sl 1 st onto cable needle and hold at front, p2, then k1 st from cable needle. glisser 2 mailles sur une aiguille à torsade placée derrière, 1 end, glisser la dernière maille de l'aiguille à torsade sur l'aig. gauche et la tricoter à l'env, 1 end de l'aiguille à torsade. glisser 1 maille sur une aiguille à torsade placée devant, 1 end, 1 env et tricoter à l'endroit la maille de l'aiguille à torsade. Sl 1 st onto cable needle and hold at front, k1, p1, then k1 from cable needle. glisser 1 maille sur une aiguille à torsade placée derrière, 2 end et tricoter à l'endroit la maille de l'aiguille à torsade. Sl 1 st onto cable needle and hold at back, k2, then k1 from cable needle. glisser 2 mailles sur une aiguille à torsade placée devant, 1 end, tricoter à l'endroit les mailles de l'aiguille à torsade. Sl 2 sts onto cable needle and hold at front, k1, then k2 from cable needle. glisser 1 maille sur une aiguille à torsade placée derrière, 2 end et tricoter à l'envers la maille de l'aiguille à torsade. Sl 1 st onto cable needle and hold at back, k2, then p1 from cable needle. glisser 2 mailles sur une aiguille à torsade placée devant, 1 env, tricoter à l'endroit les mailles de l'aiguille à torsade. Sl 2 sts onto cable needle and hold at front, p1, then k2 from cable needle. glisser 1 maille sur une aiguille à torsade placée derrière, t2r et tricoter à l'envers la maille de l'aiguille à torsade. Sl 1 st onto cable needle and hold at back, t2r, then p1 from cable needle. glisser 2 mailles sur une aiguille à torsade placée devant, 1 env, t2r les mailles de l'aiguille à torsade. Sl 2 sts onto cable needle and hold at front, p1, then t2r from cable needle. glisser 2 mailles sur une aiguille à torsade placée derrière, 2 end, tric. à l'endroit les mailles de l'aiguille à torsade. Sl 2 sts onto cable needle and hold at back, k2, then k2 from cable needle. glisser 2 mailles sur une aiguille à torsade placée devant, 2 end, tric. à l'endroit les mailles de l'aiguille à torsade. Sl 2 sts onto cable needle and hold at front, k2, then k2 from cable needle. glisser 2 mailles sur une aiguille à torsade placée derrière, 2 end, tric. à l'envers les mailles de l'aiguille à torsade. Sl 2 sts onto cable needle and hold at back, k2, then p2 from cable needle. glisser 2 mailles sur une aiguille à torsade placée devant, 2 env, tric. à l'endroit les mailles de l'aiguille à torsade. Sl 2 sts onto cable needle and hold at front, p2, then k2 from cable needle. glisser 1 maille sur une aiguille à torsade placée derrière, 3 end et tricoter à l'envers la maille de l'aiguille à torsade. Sl 1 st onto cable needle and hold at back, k3, then p1 from cable needle. glisser 3 mailles sur une aiguille à torsade placée devant, 1 env, tric. à l'endroit les mailles de l'aiguille à torsade. Sl 3 sts onto cable needle and hold at front, p1, then k3 from cable needle. glisser 3 mailles sur une aiguille à torsade placée derrière, 2 end, glisser 1 maille de l'aig. à torsade sur l'aig. gauche et tricoter la maille à l'endroit, tricoter à l'endroit les 2 mailles de l'aiguille à torsade. Sl 3 sts onto cable needle and hold at back, k2, Sl last st from cable needle back onto left-hand needle and k this st, then k2 from cable needle. glisser 2 mailles sur une 1er aiguille à torsade placée devant, glisser 1 maille sur une 2e aiguille à torsade placée derrière, 2 end, 1 end de la 2e aiguille à torsade et 2 end de la 1er aiguille à torsade. Sl 2 sts onto first cable needle and hold at front, Sl 1 st onto 2nd cable needle and hold at back, k2, k1 from 2nd cable needle, then k2 from first cable needle. glisser 3 mailles sur une aiguille à torsade placée derrière, 2 end, glisser 1 maille de l'aig. à torsade sur l'aig. gauche et tricoter la maille à l'envers, tricoter à l'endroit les 2 mailles de l'aiguille à torsade. Sl 3 sts onto cable needle and hold at back, k2, Sl last st from cable needle back onto left-hand needle and p this st, then k2 from cable needle. glisser 2 mailles sur une 1er aiguille à torsade placée devant, glisser 1 maille sur une 2e aiguille à torsade placée derrière, 2 end, 1 env de la 2e aiguille à torsade et 2 end de la 1er aiguille à torsade. Sl 2 sts onto first cable needle and hold at front, Sl 1 st onto 2nd cable needle and hold at back, k2, p1 from 2nd cable needle, then k2 from first cable needle. glisser 1 maille sur une 1er aiguille à torsade placée devant, glisser 3 mailles sur une 2e aiguille à torsade placée derrière, 1 end, 3 env de la 2e aiguille à torsade et 1 end de la 1er aiguille à torsade. Sl 1 st onto first cable needle and hold at front, Sl 3 sts onto 2nd cable needle and hold at back, k1, p3 from 2nd cable needle, then k1 from first cable needle. glisser 2 mailles sur une aiguille à torsade placée derrière, 3 end et tricoter à l'envers les 2 mailles de l'aiguille à torsade. Sl 2 sts onto cable needle and hold at back, k3, then p2 from cable needle. glisser 3 mailles sur une aiguille à torsade placée devant, 2 env, tric. à l'endroit les 3 mailles de l'aiguille à torsade. Sl 3 sts onto cable needle and hold at front, p2, then k3 from cable needle. glisser 1 maille sur une aiguille à torsade placée derrière, t2r, t2l, 1 end de l'aiguille à torsade. Sl 1 st onto cable needle and hold at back, t2r, t2l, then k1 from cable needle. glisser 4 maille sur une aiguille à torsade placée devant,1 end, et t2r, t2l, de l'aiguille à torsade. Sl 4 sts onto cable needle and hold at front, k1, then t2r, t2l from cable needle. glisser 1 maille sur une aiguille à torsade placée derrière, t2r, t2l, 1 env de l'aiguille à torsade. Sl 1 st onto cable needle and hold al back, t2r, t2l, then p1 from cable needle. glisser 4 maille sur une aiguille à torsade placée devant,1 env, et t2r, t2l, de l'aiguille à torsade. Sl 4 sts onto cable needle and hold at front, p1, then t2r, t2l from cable needle. glisser 1 maille sur une aiguille à torsade placée derrière, t2l, t2r, 1 env de l'aiguille à torsade. Sl 1 st onto cable needle and hold at back, t2l, t2r, then p1 from cable needle. glisser 4 maille sur une aiguille à torsade placée devant,1 env, et t2l, t2r, de l'aiguille à torsade. Sl 4 sts onto cable needle and hold at front, p1, then t2l, t2r from cable needle. glisser 3 maille sur une aiguille à torsade placée derrière, 3 end, et 3 end de l'aiguille à torsade. Sl 3 sts onto cable needle and hold at back, k3, then k3 from cable needle. glisser 3 maille sur une aiguille à torsade placée devant, 3 end, et 3 end de l'aiguille à torsade. Sl 3 sts onto cable needle and hold at front, k3, then k3 from cable needle. glisser 4 maille sur une aiguille à torsade placée derrière, 2 end, glisser les 2 mailles de l'aiguille à torsade sur l'aig. gauche et tric. à l'envers ces 2 mailles, et 2 end de l'aiguille à torsade. Sl 4 sts onto cable needle and hold at back, k2, Sl last 2 sts from cable needle back onto left-hand needle and p these 2 sts, then k2 from cable needle. glisser 2 maille sur une 1er aiguille à torsade placée devant, glisser 2 maille sur une 2e aiguille à torsade placée derrière, 2 end, 2 env de la 2e aiguille à torsade et 2 end de la 1er aiguille à torsade. Sl 2 sts onto first cable needle and hold at front, Sl 2 sts onto 2nd cable needle and hold at back, k2, p2 from 2nd cable needle, then k2 from first cable needle. glisser 4 maille sur une aiguille à torsade placée derrière, 3 end, glisser la maille de l'aiguille à torsade sur l'aig. gauche et tric. à l'endroit cette maille, et 3 end de l'aiguille à torsade. Sl 4 sts onto cable needle and hold at back, k3, Sl last st from cable needle back onto left-hand needle and k this st, then k3 from cable needle. glisser 4 maille sur une aiguille à torsade placée derrière, 3 end, glisser la maille de l'aiguille à torsade sur l'aig. gauche et tric. à l'envers cette maille, et 3 end de l'aiguille à torsade. Sl 4 sts onto cable needle and hold at back, k3, Sl last st from cable needle back onto left-hand needle and p this st, then k3 from cable needle. glisser 4 maille sur une aiguille à torsade placée derrière, 4 end, et 4 end de l'aiguille à torsade. Sl 4 sts onto cable needle and hold at back, k4, then k4 from cable needle. glisser 5 maille sur une aiguille à torsade placée derrière, 4 end, et 5 end de l'aiguille à torsade. Sl 5 sts onto cable needle and hold at back, k4, then k5 from cable needle. glisser 4 maille sur une aiguille à torsade placée derrière, 5 end, et 4 end de l'aiguille à torsade. Sl 4 sts onto cable needle and hold at back, k5, then k4 from cable needle. glisser une maille comme pour la tricoter à l'endroit, 2 ensembles end, rabattre la maille glissée sur la maille tricotée. placer la m suivante sur l'aig aux derr le trav, tric à l'endroit la m suiv de l'aig gauche puis la m de l'aig aux à l'endr. slip next st onto cable needle and hold at back of work, knit next st from left-hand needle, then knit st from cable needle. knit into front of 2nd st on needle, then knit first st slipping both sts off needle at the same time. placer la m suivante sur l'aig aux dev le trav, tric à l'endroit la m suiv de l'aig gauche puis la m de l'aig aux à l'endr. slip next st onto cable needle and hold at front of work, knit next st from left-hand needle, then knit st from cable needle. knit into back of 2nd st on needle then knit first st slipping both sts off needle at the same time. placer la m suivante sur l'aig aux derr le trav, tric à l'endroit la m suiv de l'aig gauche puis la m de l'aig aux à l'env. slip next st onto cable needle and hold at back of work, knit next st from left-hand needle, then purl st from cable needle. knit into front of 2nd st on needle then purl first st slipping both sts off needle at the same time. placer la m suivante sur l'aig aux dev le trav, tric à l'envers la m suiv de l'aig gauche puis la m de l'aig aux à l'end. slip next st onto cable needle and hold at front of work, purl next st from left-hand needle, then knit st from cable needle. purl into back of 2nd st on needle then knit first st slipping both.sts off needle at the same time. placer la m suivante sur l'aig aux derr le trav, tric à l'envers la m suiv de l'aig gauche puis la m de l'aig aux à l'env. slip next st onto cable needle and hold at back (right side) of work, purl next st from lefthand needle, then purl st from cable needle. purl into front of 2nd st on needle, then purl first st slipping both sts off needle at the same time. placer la m suivante sur l'aig aux dev le trav, tric à l'env la m suiv de l'aig gauche puis la m de l'aig aux à l'env. slip next st onto cable needle and hold at front (wrong side) of work, purl next st from left-hand needle, then purl st from cable needle. purl into back of 2nd st on needle, then purl first st slipping both sts off needle at the same time. slip next st onto cable needle and hold at back (right side), of work, knit next st from lefthand needle, then purl st from cable needle. knit into front of 2nd st on needle, then purl first st slipping both sts off needle at the same time. slip next st onto cable needle and hold at front (wrong side) of work, purl next st from left-hand needle, then knit st from cable needle. purl into back of 2nd st on needle, then knit first st slipping both sts off needle at the same time. slip next 2 sts onto cable needle and hold at back of work, knit next st from left-hand needle, then knit sts from cable needle. slip next st onto cable needle and hold at front of work, knit next 2 sts from left-hand needle, then knit st from cable needle. slip next st onto cable needle and hold at back of work, knit next 2 sts from left-hand needle, then knit st from cable needle. slip next 2 sts onto cable needle and hold at front of work, knit next st from left-hand needle, then knit sts from cable needle. slip next st onto cable needle and hold at back of work, knit next 2 sts from left-hand needle, then purl st from cable needle. slip next 2 sts onto cable needle and hold at front of work, purl next st from left-hand needle, then knit sts from cable needle. slip next 2 sts onto cable needle and hold at back of work, knit next 2 sts from left-hand needle, then knit sts from cable needle. slip next 2 sts onto cable needle and hold at front of work, knit next 2 sts from left-hand needle, then knit sts from cable needle. slip next st onto cable needle and hold at back of work, knit next 3 sts from left-hand needle, then knit st from cable needle. slip next 3 sts onto cable needle and hold at front of work, knit next st from left-hand needle, then knit sts from cable needle. slip next 2 sts onto cable needle and hold at back of work, knit next 2 sts from left-hand needle, then purl sts from cable needle. slip next 2 sts onto cable needle and hold at front of work, purl next 2 sts from left-hand needle, then knit sts from cable needle. slip next st onto cable needle and hold at back of work, knit next 3 sts from left-hand needle, then purl st from cable needle. slip next 3 sts onto cable needle and hold at front of work, purl next st from left-hand needle, then knit sts from cable needle. slip next 3 sts onto cable needle and hold at back of work, knit next 2 sts from lefthand needle, then purl sts from cable needle. slip next 2 sts onto cable needle and hold at front of work, purl next 3 sts from lefthand needle, then knit sts from cable needle. slip next 2 sts onto cable needle and hold at front of work, k2, p1 from left-hand needle, then knit sts from cable needle. slip next 3 sts onto cable needle and hold at back of work, knit next 3 sts from lefthand needle, then knit sts from cable needle. slip next 3 sts onto cable needle and hold at front of work, knit next 3 sts from lefthand needle, then knit sts from cable needle. slip next 4 sts onto cable needle and hold at back of work, knit next 2 sts from lefthand needle, then knit sts from cable needle. slip next 2 sts onto cable needle and hold at front of work, knit next 4 sts from lefthand needle, then knit sts from cable needle. slip next 3 sts onto cable needle and hold at back of work, knit next 3 sts from lefthand needle, then purl sts from cable needle. slip next 3 sts onto cable needle and hold at front of work, purl next 3 sts from lefthand needle, then knit sts from cable needle. slip next 4 sts onto cable needle and hold at back of work, knit next 4 sts from left-hand needle, then knit sts from cable needle. slip next 4 sts onto cable needle and hold at front of work, knit next 4 sts from left-hand needle, then knit sts from cable needle. slip next 5 sts onto cable needle and hold at back of work, knit next 5 sts from left-hand needle, then knit sts from cable needle. slip next 5 sts onto cable needle and hold at front of work, knit next 5 sts from left-hand needle, then knit sts from cable needle. slip next 6 sts onto cable needle and hold at back of work, knit next 6 sts from left-hand needle, then knit sts from cable needle. slip next 6 sts onto cable needle and hold at front of work, knit next 6 sts from left-hand needle, then knit sts from cable needle.